In 2002, I signed a contract to play Professional Soccer. 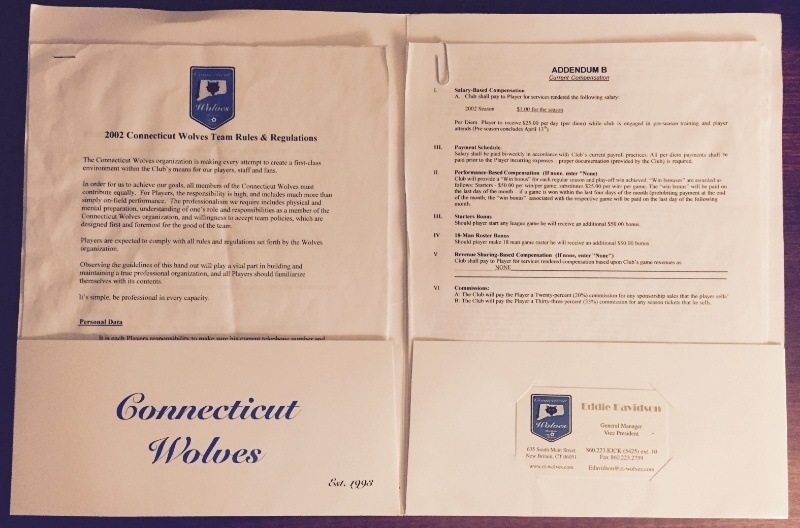 After 18 years and about 400 games, 2000+ practices, and countless training, The Connecticut Wolves wanted to pay me money to play the game I love. I made several hundred dollars that spring. Glamorous, I know! But I wasn't doing it for the money. I would have played for free. My professional soccer career was short-lived, however. When the season was winding down, I wasn't getting any playing time, met a girl, and I decided I should fall back to what I had done the previous 5 summers, and coach all summer for SoccerPlus Camps. Hell, they offered $600/week and I had 10 weeks guaranteed. After 10 weeks, though, now what? I coached the Trinity College Goalkeepers, I did some goalkeeper clinics for local clubs, and then in December of that year, I decided I needed a "real job" and went with, "Hey Michael, you know alot about cars. Why don't you go sell Volvos? I know the owner at Mitchell Volvo and can get you a job." What if someone had told me that I shouldn't have worked camps that summer and that I should stay with the team. When in your life will you get another opportunity like this? Actually, I think my coach did, but I didn't listen. I selfishly thought he just didn't want to have to find another back-up, not that he cared about my playing career. What if someone suggested that I move to Poland and live with my uncle and try my luck there. I just didn't know anyone who had done that, and quite frankly, I didn't even think to find someone. A lot of "what if's." I had so many great mentors and each played a vital role in helping me become the soccer player I was. Looking back, I didn't have a mentor for my role as a professional. I had plenty of friends and plenty of advice. But I did not seek out someone that had been in my shoes and could guide me towards a goal. What if I had met the Rick Roberge of the soccer world? Would you be watching me on NBC Sports versus reading this article? In October 2014, after 12 years of selling stuff for other people and making them a lot of money, I joined forces with Heather to build on the momentum she started with 710 Studios. It was time to get serious and we had (and still have) everything riding on it working. I wasn't going to leave it up to chance that my 12 years of experience selling would be enough to grow our business, so I found the Rick Roberge of the sales world and hired him! Shortly after starting with Rick, he introduced us to Carole, and four of us spoke several times a week for months during our Unbound Growth Coaching Program, and our lives haven't been the same since. You see, I think it's easy to identify the people who got you to your current level in your career. What's difficult is finding the right mentor(s) to advance your career past your comfort zone. 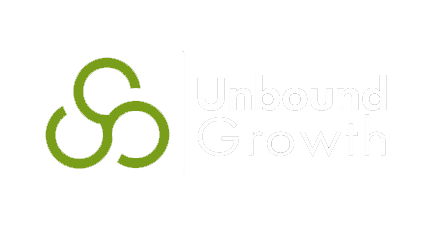 If you're tired of 'what if's," or working in your comfort zone, Unbound Growth is offering a unique opportunity to try the individual coaching program for 30 days. Could the next 30 Days change the course of your life?